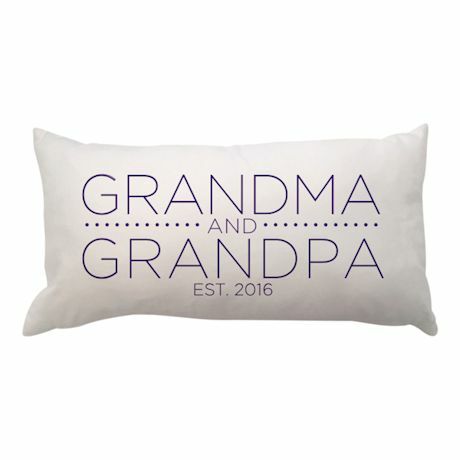 New grandparents will be delighted with this special personalized pillow, indicating the year their first grandchild came into the world! Perfect for telling those you love that you are expecting, or as a gift to the couple you know with a new grandchild. 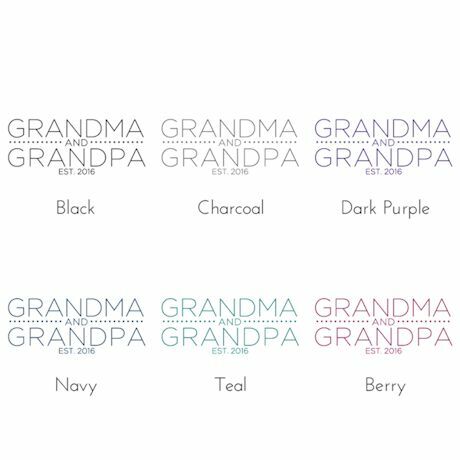 Choose ink color: Black, Charcoal, Dark Purple, Navy, Teal, or Berry, and specify year. Machine washable, suede-like 100% polyester. Generously sized at 21" x 10". Includes insert. Allow 3 weeks. No rush delivery or gift box. Item can only be shipped within the Continental US.